You know those blissfully relaxing eye pillows that teachers often drape over your eyes in savasana, at the end of yoga class? 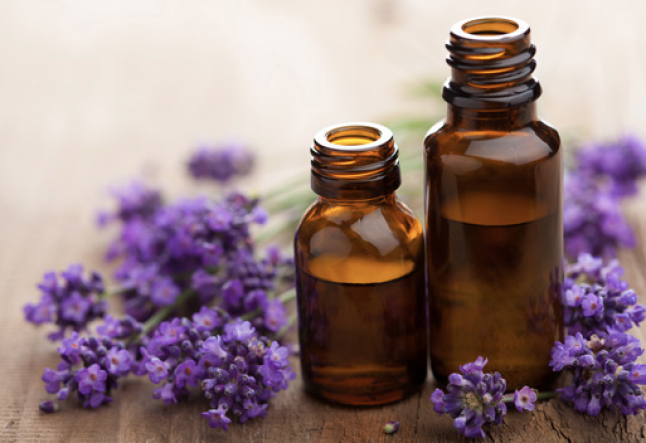 That soothing, calming, oh-so-relaxing scent, usually comes from lavender essential oil. Lavender is probably the numero uno essential oil to diffuse into your yoga studio, if you’re looking to create a restorative environment that calms and soothes the mind. It’s pleasing to mostly everyone; unlikely to offend any one’s sense of smell. The perk is that it is inexpensive, unlike some of the other sedative oils. If you’re getting started with essential oils, this is the one to begin with. Eucalyptus is great for winter months when we need to get energy flowing, while also preventing colds and flu. This oil opens up nasal passages when we have stuffed up noses, making it easier to breathe. The deep inhalations and exhalations, we want to cultivate in yoga. Frankincense is a bit pricey so it may be better for your home practice. It’s meditative in nature and really helps to center the mind. Like lavender, frankincense has a calming effect on the nervous system, while activating the relaxation response. It’s a potent immune boost – ideal for times when you’re not taking perfect care of yourself. Lemon essential oil has uplifting qualities – perfect for an upbeat vinyasa flow class and also perfect for winter season, when seasonal affective disorder sets in. Lemon cleanses the air, while also supporting immune health. You could place a few drops in a spray bottle with distilled water to use as a mat cleaner. Geranium essential oil has a lovely scent and a calming action on the nervous system. This is a great oil to diffuse during meditation, as it is sedative in nature and also uplifts the spirit. Everyone has different responses to different scents, so you’ll want to do some sniffing with each of these oils before purchasing. See which ones resonate with your senses and go from there!